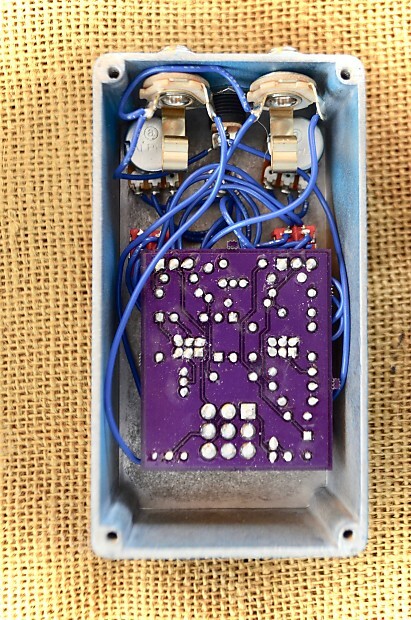 This pedal, more than any other we build, feels like an extension of who I am. It all started when I pulled apart an old hammond transistor organ and started monkeying around testing parts and whatnot. 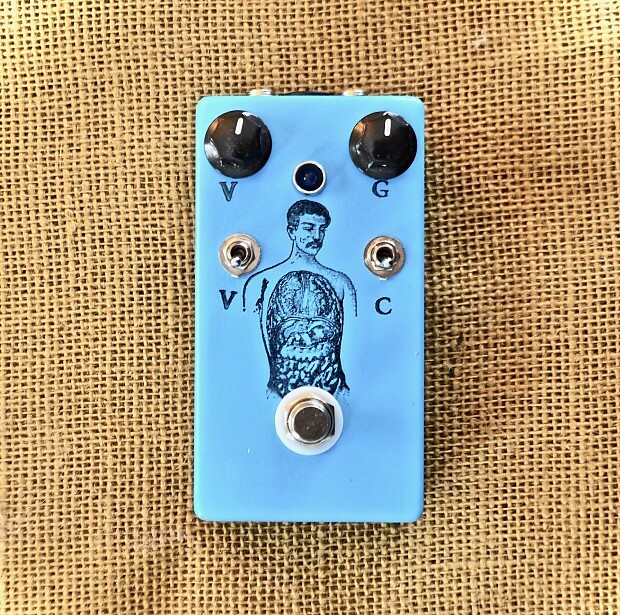 I developed a circuit around the components and found it to be a super desirable mid-gain distortion. Each Hammond's I build is a little different from the last. I keep saying I'm going to find a perfect setup, but I never do... that's the best thing about the horizon... it's always on the horizon. This run of three Hammond's is unique in that it's the first one built with soft clipping. It really rounds out the tone and warms up the, already warm, circuit. I'm out of the magic transistors, but I've found some modern ones that match exactly (which is odd, because they are a bit odd) and I've a/b'd them against my handful of Hammond's in my own collection and you can't tell the difference at all... except they are a little less noisy... which is never bad. They still use the magic diodes, I've got lots of those. V Switch: Voice Switch, Full Bass Down, Cut Bass Up. All my pedals are hand made here in Maine. 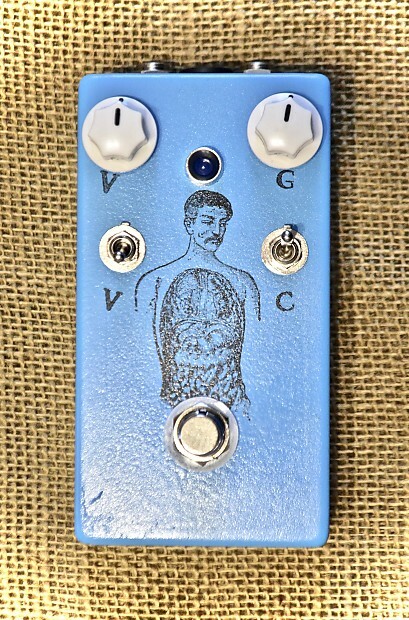 Each box is hand painted and the pedal you receive may differ slightly from the one pictured. Industry standard 9vlt jack, no wall wart included, no battery option.